Nestled in the heart of western Europe, Luxembourg City is the capital of Luxembourg, a small country landlocked by Germany, France and Belgium. With a population of around 115 000 citizens, Luxembourg City is the administrative, financial and political hub of Luxembourg. Popular tourist attractions include the Grand Ducal Place, Place d’Armes and Chemin de la Cornishe. 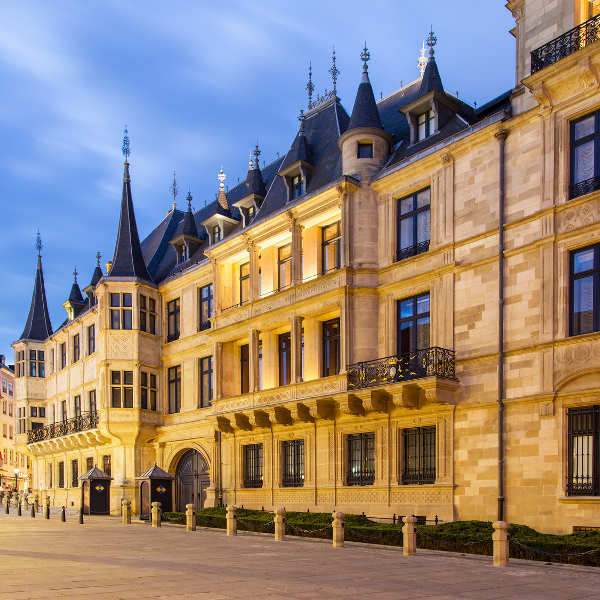 Cheap flights to Luxembourg City are now available for a limited time only, so book your flight today and prepare to be marvelled by the charming character and historical gems this beautiful city has to offer! Luxembourg City is home to Luxembourg Findel International Airport (LUX), a 20-minute commute from the city centre. Impressive castles and fortresses are picturesque sights, reminiscent of the kingdom the city once was. The historic Cathedral of Notre Dame, Grand Ducal Palace and Bock Casemates are contrasted against The Modern Art Museum and Philharmonie Luxembourg. The lush gardens and parks are equally as attractive as the surrounding monuments, where visitors can relax, reflect and absorb the natural surroundings. Take a day tour through the lively town of Echternach, boasting some of the country’s oldest relics. 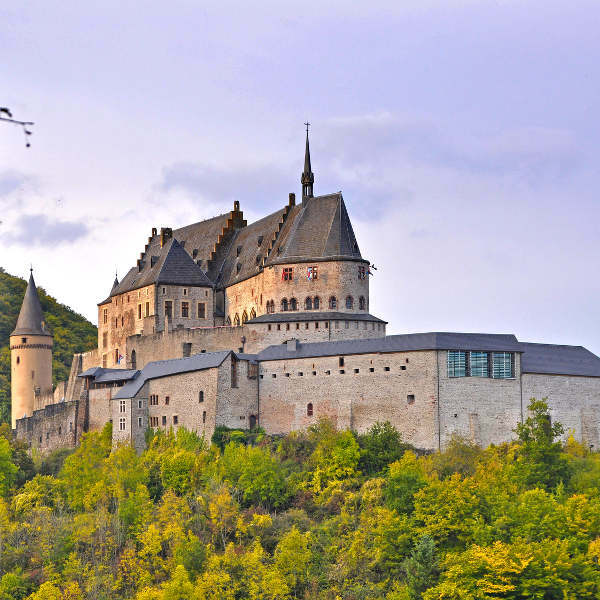 The romantic village of Vianden is surrounded by castles, beautiful forests and Gothic churches. Luxembourg City experiences fairly moderate weather, by European standards, so any time of the year is great for visiting depending on your preferences. The summer peak season runs between June and August. If you’d prefer going in the off-season, the weather cools down between October and March, where you’ll find hotels and restaurants significantly cheaper, fewer crowds and a more relaxed atmosphere. The winter months of Luxembourg bring a lively theatre scene, so you won’t be stuck for activities. Skiing enthusiasts can take advantage of the snowfall along the pistes in the Ardennes during this time. Nestled in the heart of western Europe, the capital city of Luxembourg is landlocked by France, Germany and Belgium. 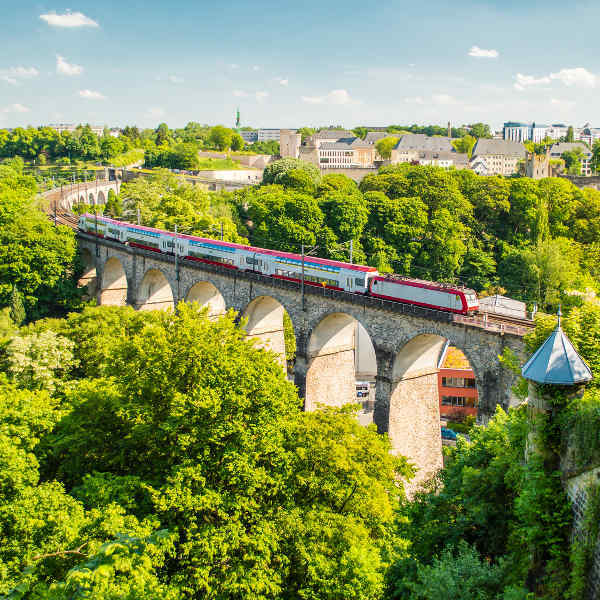 With its long-standing architecture peppered among sprawling urban landscapes, Luxembourg offers visitors captivating contrasts of old and new. Luxembourg City is small enough to explore on foot, and while it is compact, it still offers visitors a wealth of attractions including The Bock (a dramatic rocky outcrop steeped in history), underground passages in Petrusse Casemates, the Palace of the Grand Dukes and the National Museum of Art and History. Take a walk along Place d’Armes (main square) and enjoy the views of the historic buildings and markets. The UNESCO site of Chemin de la Corniche is not to be missed, along with The Family of Man photography exhibition, at Clervaux Castle. Wine connoisseurs can enjoy the sprawling vineyards in the Moselle valley, stocking up on excellent wines to be paired with local signatures like f'rell am Rèisleck or salt-cured Ardennes ham. Relax in the tranquil, green parks of Merl-Belair or Edmund Klein, where you’ll find many a local enjoying the scenery with a glass of wine and a picnic. Compare several airlines, and book your cheap flights to Luxembourg City online at Travelstart! Luxembourg City, like most European cities, is considered to be fairly safe. Violent crimes are almost unheard of, though petty theft and bag-snatching does occur, particularly in airports, train stations and bus terminals. It is safer to leave valuables and documents in your hotel safe. If you’re travelling alone, try and avoid quiet areas and public parks at night. Should you need urgent assistance, dial 113 for the police helpline.